Heavy rain runs in ribbons down the window pane, as a torrential storm batters the glass. Whipped-up in the wind, brightly coloured plants dance through the haze of water. 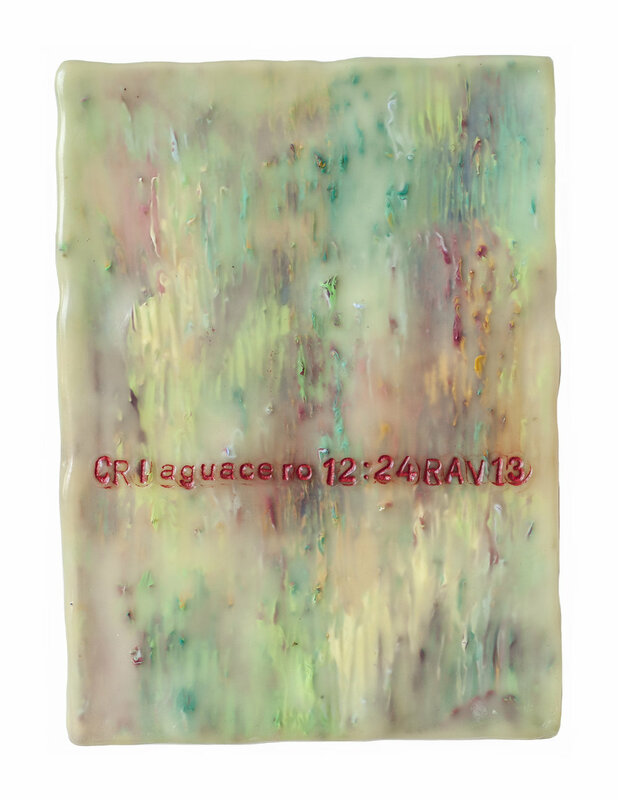 Each encaustic panel in the series captures a moment of Arvilla’s view through the glass, out to the rainforest of his Costa Rican home; each solidifies a memory and records a minute of the storm. 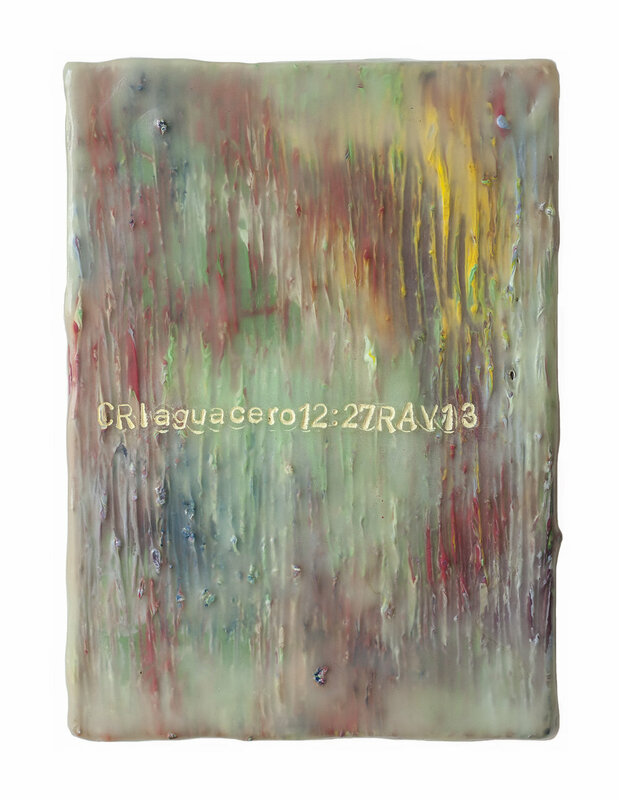 Painted in his Sydney studio, in his newfound home, El Aguacero - 30 Minutes of Rain remembers Arvilla’s life in Costa Rica and evokes the tyranny of distance felt between his two homes. Each panel is time-stamped for a moment of the storm and embodies Arvilla’s ambivalent feelings of dislocation by bringing his memories of home to the fore. 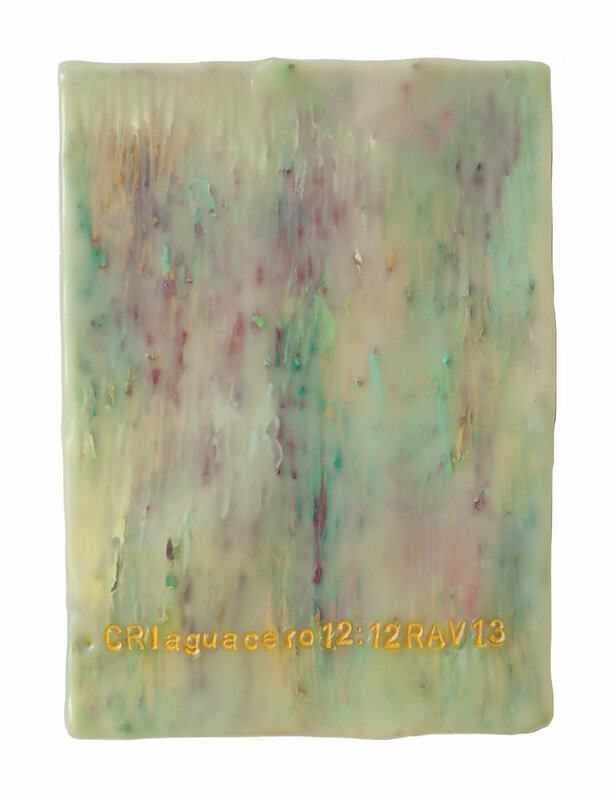 Layer upon layer of molten coloured wax, scratched and incised, form a sensation of depth and mimic rain cascading down the clear surface of the window. The thirty works represent each minute of the remembered storm, pulling us into the moment with a sense of immediacy to make us feel doubly present; relocated and experiencing the storm, whilst regarding a work of art.